The Internet has changed our way of life dramatically. It has also changed the trend of many industries, and they include the world of books and publishing in general. There has been quite a trend in online books since the dawn of Internet. People find it more useful and easy to read books online on their Kindle, tablet or smartphone devices instead of buying a new book from the store. Writing e-books about things which are hard to research is quite a trend and people search for a relevant e-book rather than Googling different aspects of a single subject. In addition, you don’t have to deal with books or any other printed material. It virtually eliminates all the hassles and expenses of actually printing books, as well as storing and delivering them — and there’s no guarantee that they may sell. With digital publishing, you don’t have to deal with the red tape, the lack of support from the major publishing houses, and royalties that are quite low. That’s why many aspiring or even seasoned writers look at online publishing as a better alternative. As such there is no hardbound guide for developing and selling e-books; you can write a short novella or something informative depending on your choice for your e-book. 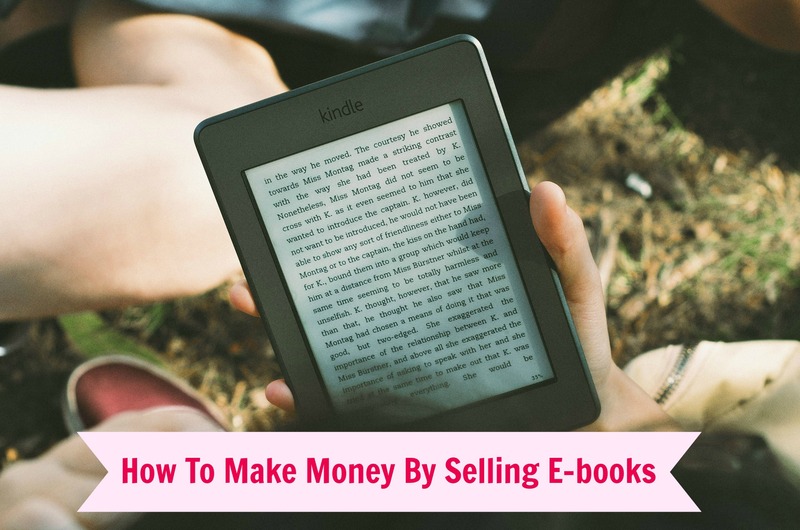 Generally, here are the rules to writing and selling e-books for beginners. Unless you have a defined genre for writing in mind, you can start by simply searching fo topics that are currently trending on the market and find information relating to them. If you are targeting a certain category then you can search various queries and problems and different sources for information already available. Write an e-book on which less information is available so that it sells quickly. Websites for selling e-books, such as Amazon, Barnes and Noble etc. take a certain percentage of every sale that you make through them. Other websites such as Clickbank etc. charge you with a single fee for every product or a monthly fee for subscription. 3. Choose the right title for your e-book. Pick a title which most clearly defines the contents of your book. If you are not sure, hire a few people or take advice from a few sources before settling for the title of your e-book. 4. Mine for information sources. If you are writing an e-book, then first make sure where your target audience is headed for information regarding the topic of your book. Check out popular websites and forums which offer advice and information to people. If you are writing an e-book that is targeted on basic solutions then your audience is larger and you would want to have an e-book which is more informal and friendly. If your e-book is targeted for a certain level of professionals then you can adjust it accordingly to your needs. Maintain the structure and flow constant and don’t let any parts of the e-book be filled with unnecessary, unrelated or redundant information. You should consider hiring an editor and a proofreader to ensure your book’s quality before you decide to let it hit the stands. You should also get a few people to read and review the book before finalizing it. Try contacting several advertising agencies, magazine or any other publishing houses relating to the industry targeted by your e-book for promoting your e-book. You could also ask various blogs and websites to feature your book along with a release date if possible. Pick an attractive photo or hire a graphic designer to craft one for you to link with your e-book. Your e-book should have a nice and attractive-looking picture attached to it so that people can click on it and go to the sales page easily. You can also find other marketing strategies and tips to keep in mind while developing your e-book. While all of the above are general basics which need to be applied, keeping a few additional points in mind will help you market your e-book in a better and more effective way. Free giveaways: No one minds a free e-book and you can use this tendency to give away e-books for free to people while promoting them as well. Giving your book for free will get your marketing going initially and if your book is good enough then you will get huge sales benefits as soon as your free period is over. Keep the free period between 30 to 90 days depending on your requirement. Right price: There is always a debate on what price you should offer for your e-book. Don’t think that you will make only a dollar or two but think how many sales you will be able to generate. If you keep the price low for a popular book then your profits will add up as sales increase as people buying e-books are generally on a strict or limited budget. Partners: Choose various e-book blogs and websites who are willing to support you. Partnering up with blogs will help you reach the circle of e-book readers since most of them go to generalized sources for searching e-books. Paid book reviews: A friend or a well-wisher might find it impeccably hard to criticize your work. Choose for paid reviews through different websites. Paid reviews will help you clear all the small errors your book might have. Sponsors: Find a sponsor to help you with the costs. There is nothing better than a stranger putting their faith in you. If you have a sponsor then you will most likely sell because sponsors don’t get behind an e-book which won’t sell. Covers: The covers (both front and back) along with inner flaps if they have content should be designed carefully and tastefully. Your cover should be such that the title of the book is readable easily through the thumbnails also. Try to get a graphic designer who has an experience working with e-books to design the covers. Product description: Make your description for your book clear and defined to your prospective buyers — this is also important. Some websites allow their users to include HTML tags in the description so check out for that too. More books: It is suggested that you should publish more books and try to publish them with consistency. Some of your books might be sold over the charts while others might lag behind trying to cope up. Anyhow, the more number of books that you add to your resume will only bring more customers to you. A writer who has a number of e-books looks more reliable and experienced. Social media: Social media is widely used by millions of people nowadays, so don’t underestimate its power. Rather, take advantage of the social media’s popularity by posting links and articles relating to your books with embedded links to websites such as Facebook, Twitter etc. Agents and other associated people: If you are starting out, you will get good deals through a well selected agent. Agents are quite a good source for boosting your sales after you have reached a certain level of sales. If you are making money through a number of platforms and sources then you might want to have a manager for keeping records also. Experimenting new genres: Try out new genres and topics when selling e-books. Do not simply stick to one topic with all the might you have. Keep researching and try to come up with different ideas till you are successful with your work.